Mapocho river crosses Santiago. It is 110 Km long and flows from the Andes mountain range onto the west. It is believed that the word "Mapocho" is a misspelling of the mapudungun word "Mapuche", that means "people of the land". Mapudungun is the language spoken by the Mapuche, the original inhabitants of Central and Southern Chile. 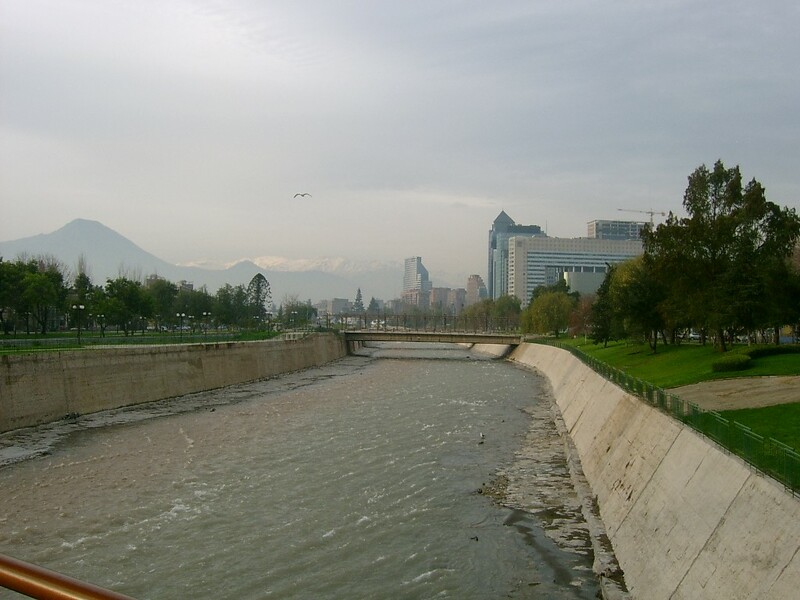 There is a very bold project to turn the Mapocho into a navigable river. Who knows, maybe in the not-too-distant future we can have our own bateaux mouches in Santiago! Hi Edu!...I know that by the river side you can find beautiful parks and a historic Train Station named "Estacion Mapocho", could you post a picture of the station? You got it... I'll visit the Mapocho Train Station and show you some pictures. It is now an important cultural center.